Rose Tascher de la Pagerie, nicknamed Josephine by Napoleon Bonaparte and known as JoBo to her closest friends, possessed all the characteristics, including the most scandalous, to inspire an eternally contemporary Parisian venue. Beyond a life story inextricably linked with history, her boundless curiosity and unconditional love of beauty made Josephine a resolutely modern muse. Passionate lover, mistress–wife, trendsetter and renowned as one of the most elegant women of the period, Josephine was a liberated woman before her time. 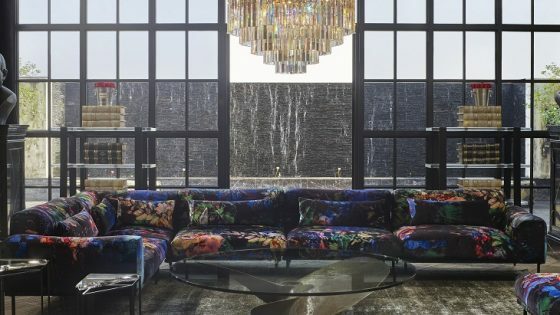 Avant-garde and wild about decoration, she never stopped inventing, assembling and collecting, to adorn her various residences with the best, the most precious, the most original. It was for her that the first panther-skin rug was made. Passing through the carriage door, visitors find themselves transported into Josephine’s dreamworld. The first surprise and shiver of excitement: a Napoleonic campaign tent covered in roses welcomes you into the hotel. 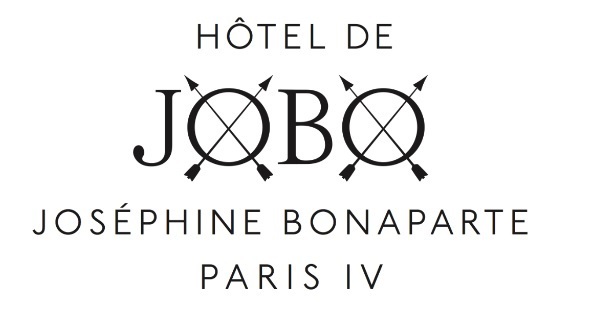 Hotel de JoBo’s 24 rooms are spread over four floors and arranged around a hidden courtyard. The decor of this boutique hotel, which occupies a former 17th-century convent, was designed by Bambi SLOAN. Taking Josephine Bonaparte as her muse, her inspiration, she has used the style codes of the Napoleonic period, as well as JoBo’s love of roses. The devil is in the detail; reprints of period wallpapers, beams stripped back and bedecked in roses, bathrooms in mosaic tiles and marble … Bambi SLOAN slips into Rose’s skin, taking ownership of the rooms conferred to her, and bringing them to life with a touch of the unexpected, a splash of eccentricity, a grain of fun. 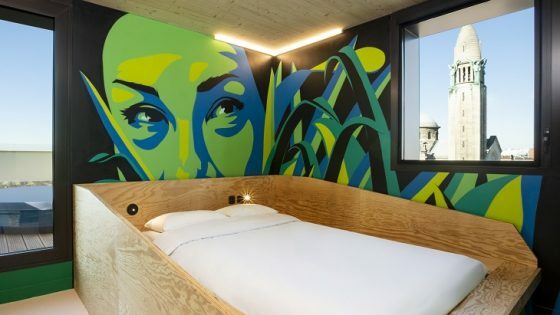 “This is a hotel for both licit and illicit love affairs,” she confides. This characterful hotel lives and breathes 24 hours a day with its cocktail bar, which also offers light gastronomic snacks, and a tea room with delicious French patisseries, all in a cosy and funky atmosphere.